Please download the Employment Application and mail or drop off at the club. Salaries are commensurate with experience and certifications. Need training? Contact Virginia Beach Parks and Rec or the American Red Cross for First Aid, CPR and/or WSI classes. All employees giving LNSRC sponsored swim lessons are required to be WSI certified. Any employee aged 15 or younger must receive a work permit from your high school guidance counselor. Download and complete the Employment Application and submit your completed application via the contact form below. Applications can also be mailed or drop off at the club. Salaries are commensurate with experience and certifications. Must hold current Lifeguard, CPR and First Aid certifications. Must be willing to become a Certified Pool Operator. Prefer WSI certification. Minimum of 2 years experience as a lifeguard preferred. Supervises members, staff and pool & tennis activities. Enforces health and safety rules and regulations; and assists the Manager with scheduling, training, pool operations and tennis operations. Performs maintenance and cleaning duties. Performs other duties as assigned. Full and part time positions available. ﻿Conducts assigned aquatic group and individual classes in a safe, professional manner; maintains current and accurate records; fosters good public relations. Takes directions from Swim Lesson Supervisor and Manager. American Red Cross Water Safety Instructor, First Aid, CPR and Lifeguard certifications required. Classes are being offered at LNSRC for a limited number of students. Please inquire about times and cost by emailing our manager. 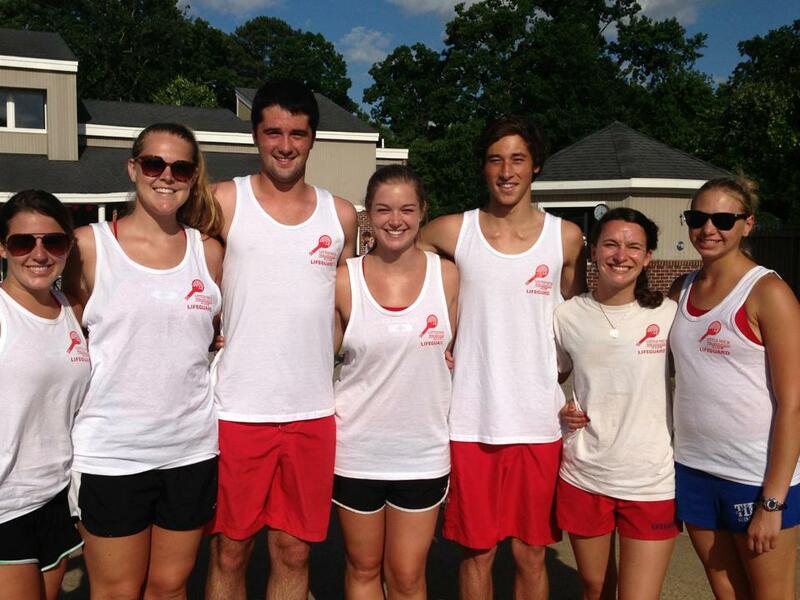 Fun, outgoing, adaptable and qualified individuals needed to join our summer staff. First Aid, CPR, and Lifeguard certifications required. Duties include lifeguarding, greeting members at registration desk, assisting members, light maintenance and cleaning of pool, tennis courts and club facility. Full and part time positions available. Staff: Organized, clean, responsible staff needed in the snack bar. Duties include preparing lunches, cooking simple foods, answering member questions, supervising snack bar assistants, light maintenance and cleaning of club facilities. Full or part time positions available. Snack Bar Assistant: LNSRC is the perfect place for your first job. Short shifts to allow for summer fun with your family while earning some income. Must be at least 14 years old. Part time positions available. Personable, friendly, organized individuals needed to greet members and assist in social functions during the pool season. Must be flexible in work hours. Part time position available. Fun, outgoing, adaptable individuals needed to join our summer staff. Duties include tennis court maintenance, supervising youth tennis activities, greeting members at registration desk, assisting members, light maintenance and cleaning of pool, tennis courts and club facility. Full and part time positions available.